US: Will a compromise be found? During the last few months, the Canadian dollar has declined based on the uncertainty over the US elections, and the “fiscal cliff” scenario. It is well known that Canada is the US’s single biggest export partner, however the “fiscal cliff” can be avoided and should not hurt Canadian exports. It is in both the Democrats’ and Republicans’ best interests to find common ground on the fiscal challenge by the first part of 2013. In fact, President Obama is ready to negotiate during his last term, while the Republicans are expected to move toward the center of the political ring after their debacle in the recent elections. 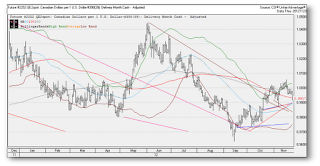 A consolidated budget plan will reduce the huge debt and avoid another downgrade by the ratings agencies, although the dollar should remain weak for some time. Canada: Deficit may be reversed by 2017. A stronger labor market is a top priority for Mr. Bernanke, and the US central bank will continue easing its policies until the economic picture has strengthened. The study of cycles anticipates another step-up for unemployment before it finally drops. The Federal Reserve should increase the balance sheet by quantitative easing, which will support the real yield differential in favor of the Canadian dollar. On the other hand, Canada still has room to maneuver if the economic conditions should deteriorate. 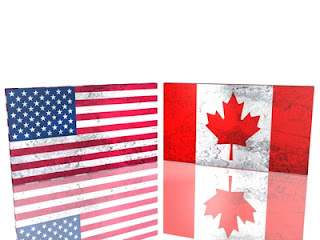 The fiscal deficit in Canada was just above 26 billion in March, or 1.5% of the gross domestic product (GDP), versus the US’s 1.1 trillion, or 7.0% of the GDP, for the fiscal year ending in September. The Canadian deficit is expected to reverse to surplus by 2017, and interest rates should remain stable for some time. The latest data confirms that the economy is only increasing moderately. Lately, retail sales and wholesale trade are weaker while, on the other hand, inflation remains subdued. As a result, despite all the rumors, the Bank of Canada will wait a little longer to raise its rates again. The US dollar should decline further. Technically, the USD/CAD is overbought at the current levels, and there is a strong divergence between the price and the relative strength index (RSI) on the daily and weekly charts. December will favor the Canadian dollar over the US dollar. Finally, the long-term bearish cycle for the US dollar that began in 2002 is ongoing, and may last for a few more years. In the past, the US dollar had bottomed along with a top in commodity prices, as they had in 1980 and 1995. When can that occur again? Since 1936, the bull trends in commodities have lasted for 12 to 13 years from the bottom to top. The current cycle started in 2002 and could end between 2014 and 2015 if history repeats itself. This article is pretty much the reason I focus so much on trading forex daily. It's profitable to trade the daily manipulations. I have used this beginners guide to learn some basic forex, http://www.forexfraud.com/learn-forex-trading.html. It's something to consider as the American dollar continues to slide. In your opinion, why it will continue to slide?